Children can be evaluated when the parent or the teacher send a referral to the CPSE (Committee on Pre-School Education). The CPSE then sends out an evaluation packet to the parent. When the parent receives the packet, he/she brings it to an evaluation site. Once the evaluations are completed the CPSE determines whether the child needs services or not. Beth Rivkah Head Start’s Special Education Department assists the parents and walks them through the process step by step. Crown Multi is proud to have on their staff therapists who are some of New York's most experienced and well-trained in their specialty area. Students in our Special Education programs have made significant progress due to the coordinated effort of the staff of Crown Multi and Beth Rivkah Head Start. Our Head Start Special Education Department works hand in hand with these therapists, coordinating the services so that the teachers are able to implementcertain practices within the classroom framework that will help individual students reach their developmental goals. Ultimately, by virtue of this extensive coordination, progress is achieved much faster - the children benefit exponentially from the combined efforts. Beth Rivkah Head Start is there for the family unit as a whole. We also offer interesting and informative workshops to our parents over the course of the year. 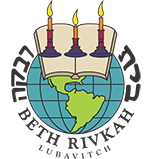 Beth Rivkah Head Start is open to the suggestions of parents and works together with them to make sure that what takes place at school contributes towards our students growing up healthy and happy children. In fact, we have an active parent body who are part of an advisory council. Any Head Start parent who wishes to be part of our Council can call the Head Start office at 718-735-0400 extension 1156, to find out more information .